WASHINGTON, D.C. – February 15, 2011 – (RealEstateRama) — Most home buyers who claimed the federal tax credit of up to $7,500 for buying their first home in 2008 are required to start repaying the credit in 15 annual installments, beginning with their 2010 tax returns. The credit—some form of which was offered for qualified home purchases in 2008, 2009 and 2010—has different repayment rules depending on when and under what circumstances the home was purchased. As tax season approaches, this may cause confusion among home buyers who received the tax credit. The Internal Revenue Service is sending a letter to taxpayers who claimed the credit that explains if, when and how they have to repay it. There are different IRS letters for different situations, including a purchase of a home in 2008, 2009 or 2010; a sale of a main home; or a change in the use of the main home. For example, a taxpayer who claimed the full $7,500 first-time home buyer credit on their 2008 tax return will repay $500 as an additional tax on their returns each year from 2010 to 2025, or until the home is sold or is no longer used as the owner’s principal residence. The credit for homes purchased in 2009 and 2010 does not have a repayment requirement unless the home ceases to be used as the taxpayer’s principal residence within three years of the purchase. The home buyer tax credit program expired for the majority of Americans in 2010. However, the eligibility period was extended to April 30, 2011, for qualified service members who served official extended duty outside the United States between Dec. 31, 2008, and May 1, 2010. The IRS website at www.irs.gov contains detailed information about repayment requirements for the federal home buyer tax credit. 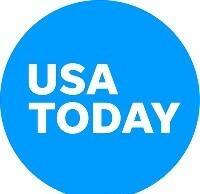 For information about the tax benefits of homeownership, go to NAHB’s website www.SaveMyMortgageInterestDeduction.com. 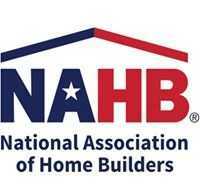 EDITOR’S NOTE: NAHB is providing this information for general guidance only. This information does not constitute the provision of legal advice, tax advice, accounting services, investment advice, or professional consulting of any kind nor should it be construed as such. The information provided herein should not be used as a substitute for consultation with professional tax, accounting, legal, or other competent advisers. Before making any decision or taking any action on this information, you should consult a qualified professional adviser to whom you have provided all of the facts applicable to your particular situation or question. None of the tax information in this release is intended to be used nor can it be used by any taxpayer, for the purpose of avoiding penalties that may be imposed on the taxpayer. The information is provided “as is,” with no assurance or guarantee of completeness, accuracy, or timeliness of the information, and without warranty of any kind, express or implied, including but not limited to warranties of performance, merchantability, and fitness for a particular purpose.